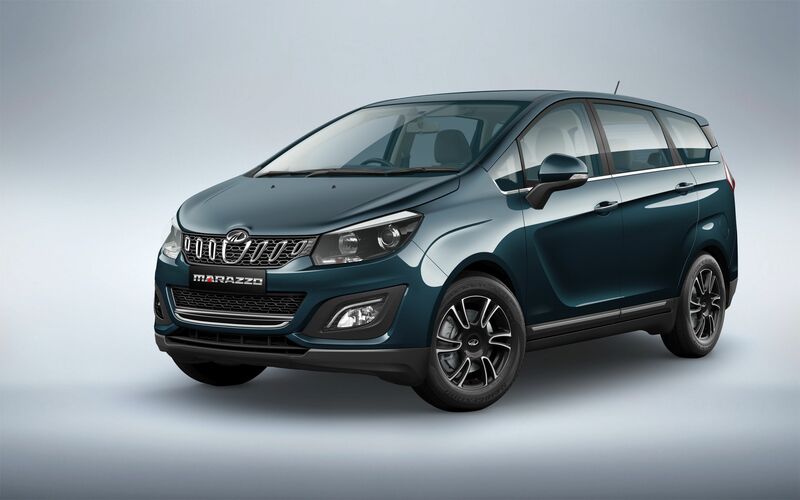 Mahindra announced the introduction of the 8-seater option on the top-end M8 variant of its recently-launched Marazzo. The M8 variant offers many top-of-the-line features including a 7-inch touch screen infotainment system with Capsense & Haptics technology, Android Auto and Apple CarPlay, a reverse parking camera with dynamic guidelines, 17-inch alloy wheels, Daytime Running Lamps (DRLs), faux leather seats and window-mounted sunshades for second-row passengers. The M8 8-seater will be priced at Rs. 8,000 more than the M8 7-seater. The Marazzo is engineered in collaboration with the Mahindra North American Technical Centre and Mahindra Research Valley (Chennai) and is co-designed by the Mahindra Design Studio and the legendary Italian design house Pininfarina, making it a globally engineered product. Its superior value proposition includes a bold, aerodynamic design, smooth ride, agile handling, luxurious space, the quietest cabin in its class and the industry-first Surround Cool Technology. BIG BOYS TOYS Expo - is Back!